"The project which was due to be completed within 12 months, was completed within six to seven months by the contractor, Jaihind Morpol. Jaihind Morpol has been able to deploy the best expertise and materials to get a quality job done. The contractor broke the record as it achieved about 109 joints and welds per day, a feat, which is quite unprecedented in the industry and which made it possible to finish the job in record time of six months." - The Group Executive Director, Gas, NNPC. "I have just come back from Carter Bridge and I am quite impressed with the ingenuity of MORPOL. I have forwarded pictures to the Governor on the ongoing work. Please keep up the momentum!" - GMD, Lagos State Water Corporation. “We are happy to note that the mainline Hydro Test has been successfully completed today. Please convey our hearty congratulations to the entire team of MORPOL-JAIHIND consortium who have contributed for this great milestone. - SPDC Vice President, Operated & JV Partners, 10th October, 2016. - Project Lead/Contract Holder, 23rd May, 2017. 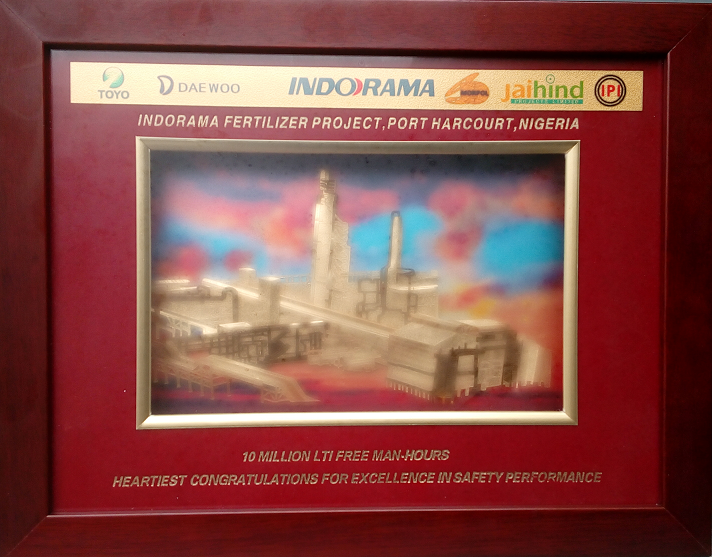 - Project Manager 23rd May, 2017.
i. HSE AWARD: Best Safe Work Practice in Gas Pipeline Construction presented to JAIHIND-MORPOL Consortium, by Nigeria Gas Company. April 2012.
ii. 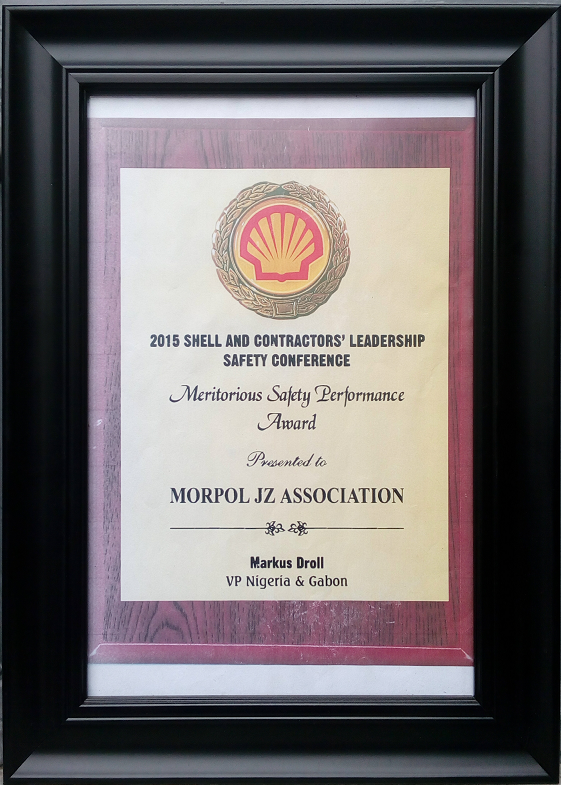 HSE AWARD: Meritorious Safety Performance Award presented to MORPOL JZ Association, by Shell Petroleum Development Company of Nigeria (SPDC)’s Vice President.